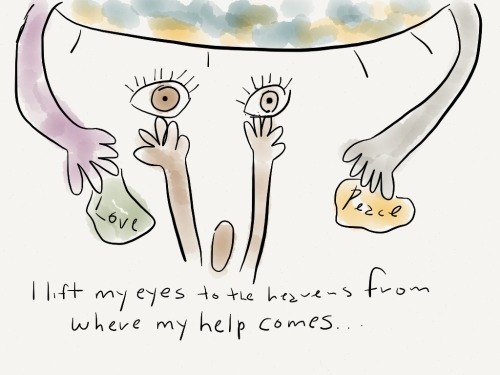 Several years ago someone introduced me to a book called Praying in Color which outlined a prayer process using drawing as a means for connecting to God at the level of our creativity. 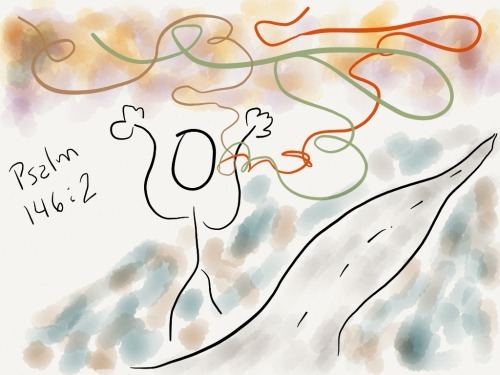 I’ve played around with that off and on ever since, knowing that I’m not much of an artist, but seeing what God would offer me along the way. 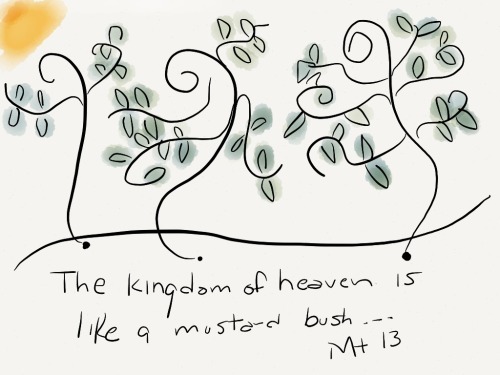 Recently, I came upon an IPad app called Paper that has a limited set of drawing tools, and an even more limited palette of available colors, but which is lends itself to this practice, so I’ve taken up interpreting the lectionary texts I’m reading most days in ways that have meaning for me. I am posting most of them on my Tumblr and Facebook pages as well, so if you’ve been wondering what’s up with the bad art, that’s what I’m doing.